Yesterday, I subbed in kindergarten. We had to practice a lockdown. It was heart wrenching. Before we marched into the closet, their teacher gathered them close on the morning meeting rug, one bedecked with lily pads and frogs, the spot they congregate for group activities. She spoke in a soft, calming voice. Her words were deliberate, carefully chosen. She told them what we’d be doing. That they would have to sit in the coat room, and stay perfectly still. Not a sound could be made. It might last a long time. Instead of firemen coming, police officers would. They’d check in on every classroom. To make sure they were doing it right. Their puzzled expressions led her to say, in case something bad happens. Her face was reassuring, but we both knew a vice was gripping her heart. This harkens back to the duck-and-cover drills we practiced in grade school. Threats of a nuclear attack glared down from a ledge in everyone’s mind. It has stayed with me, in the form of low-lying anxiety that never really went away. I pray these young souls don’t suffer the same. As we scrunched in the closet, in the space where backpacks and snowsuits are hung each day, I worried about the kids who had issues with impulse control, who blurted things out when they needed to be heard. Could they be the ones who caused accidental calamity to themselves and others? Because they were just being who they are–little ones, who deserve far better than what our world has to offer right now. 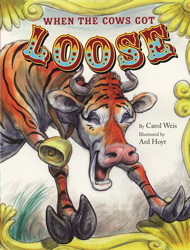 Carol Weis is a freelance writer of poetry, essays, memoir, and children's books. Posted on January 23, 2013, in Subbing and tagged duck and cover, kids, lockdown, school, subbing, teachers. Bookmark the permalink. Leave a comment.